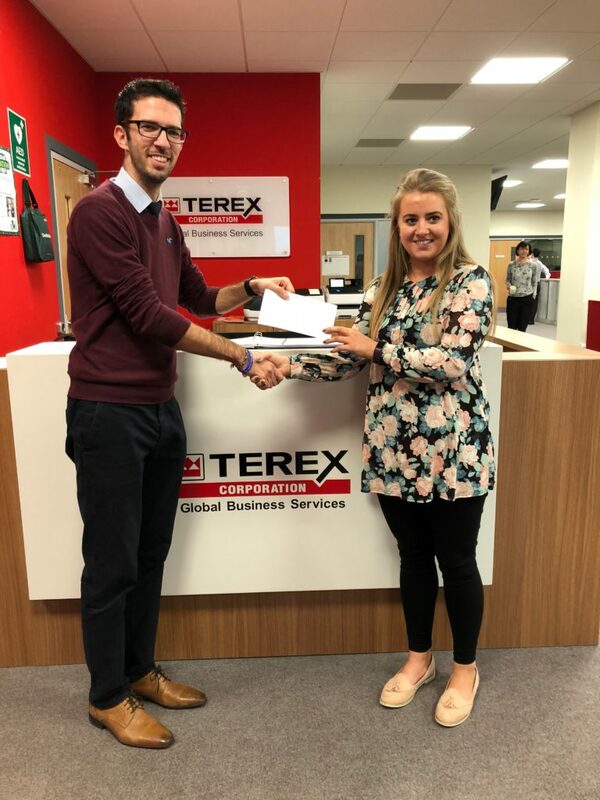 Mr Wright and Mrs Crick were delighted to receive a cheque for £660 for Cure4Cam from Terex Corporation – Global Business Services UK based in Silverwood Business Park. The employees raised £330 for Cure4Cam by holding a coffee morning. This sum was then matched by the company to make a fantastic total of £660. Mr Wright was delighted to get the opportunity to thank the employees for their kindness and generosity in supporting Cure4Cam, and is pictured receiving the cheque with Jennifer Devine from Terex.